Thank your better half for being so supportive in all the hard things you have undergone. A good partner is all what we need to have a blessed and a lovely and happy life. With such a person, life will become more joyful and entertaining too. 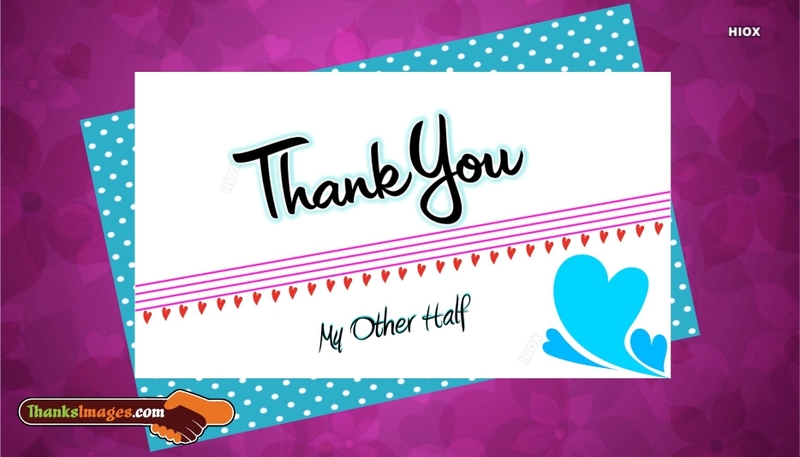 Convey your thanks using this colorful "Thanks to my other half" ecard.